The China Overseas Investment Network (COIN) is part of our commitment to provide seamless and high-quality client service, worldwide, to Chinese companies going overseas and doing business overseas. Our globally integrated structure enables us to deploy dedicated teams with strong local experience, and profound industry knowledge to provide seamless services to our clients. COIN links professionals around the globe, facilitates collaboration and provides consistent and coordinated services to our clients with overseas investment from and into China. 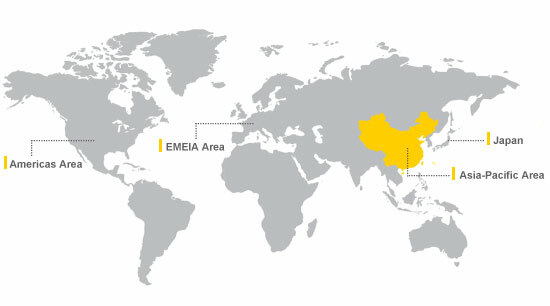 Building on the existing China Business Group in the Americas, EMEIA ("Europe, the Middle East, India, and Africa") and Oceania areas, COIN has expanded our network in over 40 countries and territories around the world. COIN is part of EY's commitment to provide seamless and high-quality client service, worldwide, to Chinese companies going overseas and doing business overseas. Our globally integrated structure enables us to deploy dedicated teams with strong local experience, and profound industry knowledge to provide seamless services to our clients. Our truly integrated global services network and in-depth local expertise bring great benefits to your global investments; we have a strong presence and rich experience in almost every country in the world. We also have dedicated local resources in China with extensive outbound investment experience helping Chinese companies on their overseas investment activities. We have integrated client service teams from Assurance, Tax, Transaction Advisory, Transaction Tax and Advisory services who are fluent in Chinese, English and other local languages. Our service teams include many Chinese speaking professionals who have a Chinese background but live and work in major destination countries that you may be investing in, and experienced professionals from major overseas countries residing in China to support the China-related investment issues of our multinational clients. We have assisted many Chinese companies with their “go global” strategy, working on many of the most significant Chinese outbound transactions. In the past few years, we have acted as advisors on a number of high-profile China outbound investment transactions around the world with deal values ranging from US$200 million to US$10 billion. We have extensive cross-border transaction experience and knowledge in the most complicated transactions covering a wide range of industries, such as oil and gas, banking and insurance, mining, technology, automotive, real estate, infrastructure, chemical, consumer and industrial products. Chinese businesses that plan to invest and do business overseas face a wide range of challenges. We offer a wide spectrum of professional services to help address these challenges. Our quarterly magazine contributes our rich thought leadership to the Greater China market, helping organizations to keep them abreast of the latest market and industry trends.